When catching a train into the city, you are sure to notice the many billboards and advertising slogans designed to capture the attention of the commuter on his long and often uncomfortable commute to work. On one of my recent trips to the city however, I noticed a billboard that was out of the ordinary. It was a large billboard, easily visible from within the train. It said nothing, it didn’t have any catchy slogans or facts or statistics. It was just an enormous QR code. I couldn’t believe that a company would pay so much to simply have this code printed on a billboard, but it did open my eyes. From there, I started noticing QR codes everywhere. They’re in advertising, on leaflets, on bills and they’ve even been printed on a cupcake and minted on a country’s currency! It seems that the QR code is the next big thing in technology, but what exactly is it and how is it useful? The abbreviation QR is short for quick response and it is simply just a two dimensional code made up of modules which appear as black square dots on the plain white background. A one-dimensional barcode is not different from the ones found on most products in the supermarket and is read via a narrow beam of light. 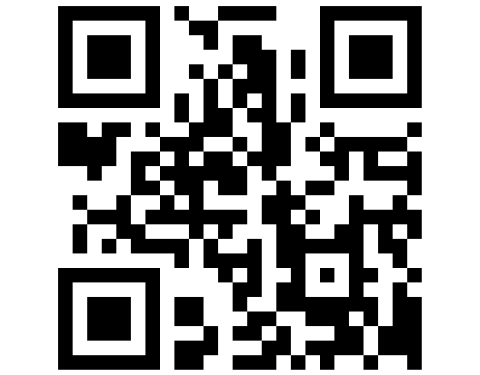 The QR code differs in that it is read as a 2D image that is then processed. The code can store a fairly large amount of information and can be quickly read with a wide range of barcode scanners. With the coming of apps on most smartphones which have the capability to read these QR codes, they have become a powerful advertising tool with there being around 10 million smartphone users in Australia alone. These codes were originally used in the automotive industry where they were used to track parts for their ability to store information and be read very quickly. Companies now are seeing the advantage of having such a code for advertising and are jumping on the bandwagon. The code allows a company to store a URL so that when scanned on a smartphone, will direct the consumer to the company website. This is advantageous as it gives the consumer ease in accessing further information about a product and can allow the company to sell their product directly to the consumer by directing the QR code to the product on their online store. Companies are further using these codes to give out special offers or enter in a competition thus forcing consumers to scan them should they want to receive the offers. The codes are not difficult to make and are easy for a company to use without having to hire professionals to make them. With the coming of new technology such as the QR code, the stage is set for companies to innovatively incorporate the code in their marketing. Whilst the technology is still fairly new, it is possible for companies to stand out from the crowd. However, as it becomes more and more a concept used by many, the thrill of the QR code used in advertising will be lost and it will become another regulation marketing ploy. After this, the next big thing will arrive until it too becomes run of the mill and accepted as normal – this is the world of technology. Voice Technology in Warehouses Is your Laptop Fit for purpose? Will Millennials Change the Manufacturing Industry?